Oh boy! It’s not every day that history is made right outside your combination laundry room/office window. Or mine either! That’s why I was so excited to find this monumental event reported on YouTube, because I don’t think I could have done it justice without video support. Many thanks to Lorie Seadale, The Orleans County Fair, The Guinness Book of World Records, Steve Glazier, CNN, zaqura1001, Doug Leland and all the nice Cadillac people who made it happen by joining the parade! And let’s not forget all the folks in the enthusiastic crowd, standing by in the hot sun with plenty of appreciation and cheery waves. Too bad Springsteen didn’t show up, but it was a great day for Cadillac and Barton anyway! Hurray!! And just for this one special ceremonial occasion, Mother won’t fuss about seat belts. This entry was posted in blog, cars and tagged Barton, Cadillac parade, Guinness Book of World Records, Henry Leland, Orleans County Fair, Vermont on September 17, 2011 by Mother Rider. Mother is NOT scared of spiders. Really. Well, as long as they don’t bite her. But she doesn’t want them in her car either. And neither should Mazda6 owners, so Mazda is recalling 65,000 of them (the cars, not the spiders; who knows how many spiders?) to be inspected, and any unwelcome residents evicted. According to this alarming report in the Los Angeles Times (Spiders may have entered Mazda cars before assembly, expert says), the little buggers have been found hiding in a tiny hose near the fuel tank, and if they get out of hand could cause fuel leaks and even fires. Yikes! Thank goodness my Mazda is a truck! But before you Mazda6 owners freak out totally, I hasten to add that there have been no reports of spider bites, cracked gas tanks, or related accidents or injuries as a result of this problem. So if the little stowaways aren’t causing any trouble, why all the fuss? How were they found in the first place? Did they leave a mess? Or make too much noise? Did their mothers report them missing? The article doesn’t say. Sorry. Oh, did you mean the spider? 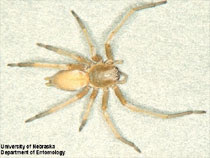 Here you go, courtesy of the University of Nebraska-Lincoln, which also has the complete spider scoop on its website, for those who need to know more: Spider Bites? Look for a Sac Spider. Thanks, Huskers! Go Big Red!! 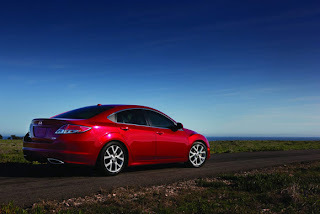 This entry was posted in blog, cars, vehicle recall and tagged Huskers, Mazda, sac spider, university of nebraska, vehicle recall on March 21, 2011 by Mother Rider. Better be careful out there! Watch Out! The Assault Vehicle is Loose! Too bad we don’t have a video of this! And no, I’m sorry, you can’t have one. A tank I mean. Or a video either, unless that nice man in Georgia maybe? Let’s keep an eye on him. This entry was posted in blog, cars, state traffic laws, traffic enforcement and tagged assault vehicle, keith olbermann, New York Times, Nicholas Kristof, speed enforcement by aircraft on February 6, 2011 by Mother Rider. What’s the safest car color? Are you as alarmed as I am about the disturbing frequency with which we’re seeing those horrid bright yellow cars on the road lately? At least so far there’s none of the equally hideous green that went along with the yellows last time, I think it was during our Vega period. Optometrists note that, for its high visibility, lime yellow should be used by fire and rescue teams, as well as favored by trucks and car buyers. Of course, it’s not as simple as that, and for more on this multi-faceted topic you can check out the full white paper (Car Color and Safety) or one of the sources cited (Color Matters), where you’ll find that this isn’t exactly a recent discovery, since the paper was written in 2004. If only Mother Rider’s crack research staff were paying attention she might have been prevented from making this little oops. She might also have been clued in a few paragraphs ago that there are several studies out there that come to different conclusions. Silver is a popular choice, for example, which makes very little sense given its ability to blend into rainy, snowy or foggy conditions. And white or pink have been the winners in other studies. Seriously? I think I’d better stop looking. Dad was always a proponent of using mistakes as valuable learning experiences. Of course to reap the benefits, first we need to admit to them. This can be the trickiest part. Do the best you can. Thanks, Dad! And thanks, AAAFTS, for all your great research on this and many other safe driving topics. 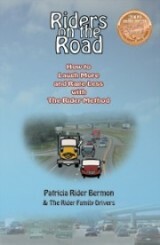 This entry was posted in AAA, blog, cars and tagged aaa foundation for traffic safety, Riders on the Road, safe car colors on February 16, 2010 by Mother Rider. I know it was fun to pretend it was one of those Smart Cars, so we could say hahahaha, not so smart, huh? (and feel all smarty pants ourselves about hanging on to our trucks and SUVs) But actually it was a Ford. So once again, reality interferes with a good story. Drat! It was a small Ford though (an Escape), if that’s any consolation. Still, the guy on Snopes was very definite that any other vehicle (short of another dump truck) would have been just as smashed. So you can go on ahead and get yourself one of those tiny cars if that’s what you want. Don’t be scared. And honestly, I’m still good with hanging on to my truck, smarty pants excuse or not. 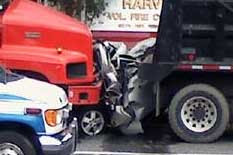 But whatever you drive, do try to stay away from dump trucks. PS In case you were worried, the driver is NOT dead. Phew! 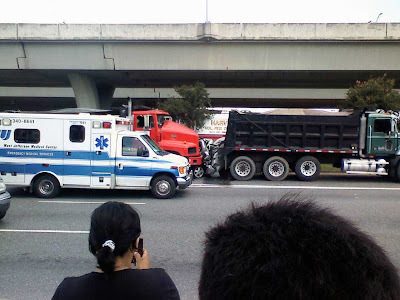 This entry was posted in blog, cars and tagged crash, Ford Escape, Smart Car, Snopes on February 14, 2010 by Mother Rider.